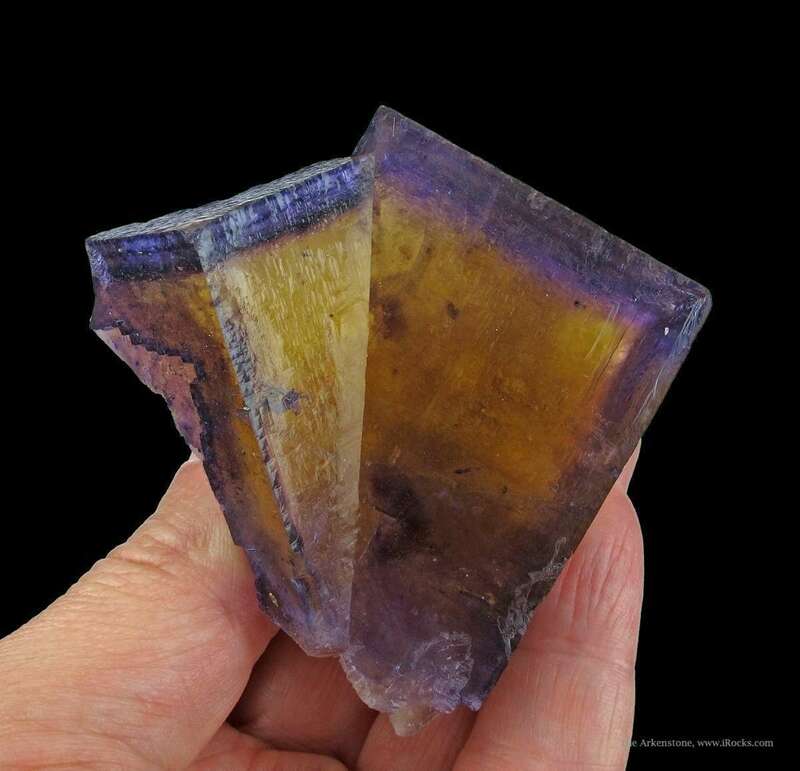 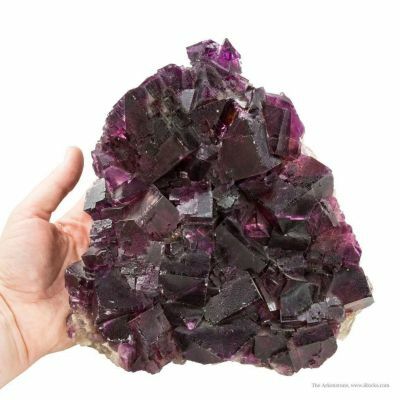 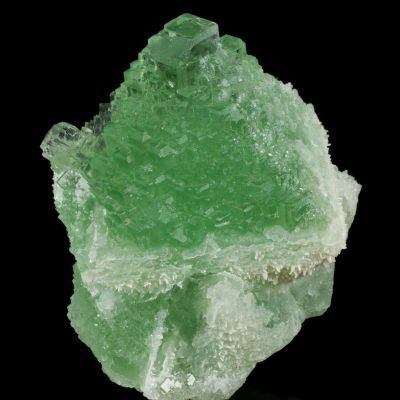 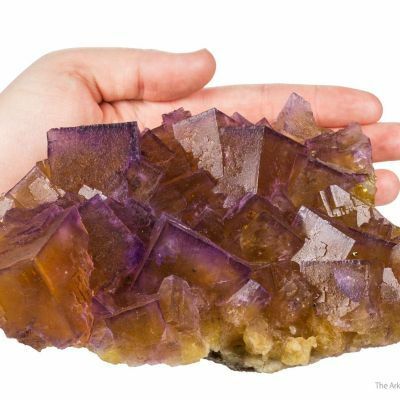 Twinned fluorite crystals from Illinois are uncommon and this is a SUPERB fluorite from southern Illinois that has just about everything going for it that you could want: great coloring and zonation, interesting twinning, preferential stepped growth, and a very attractive growth pattern on the faces. 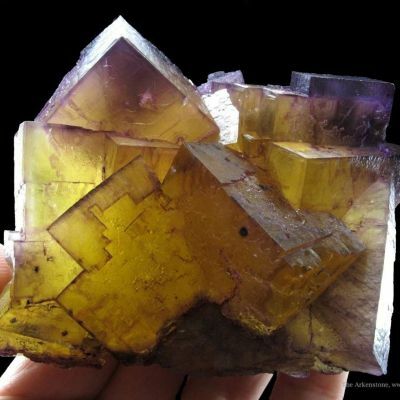 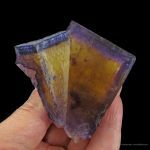 There are even clear windows on some of the corners (akin to the classic growth pattern you see in many Elmwood Fluorites). 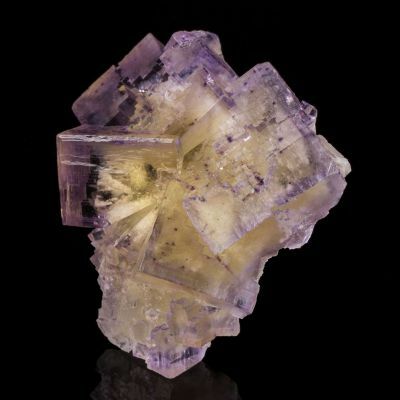 Overall just an amazing display piece, which backlights really well with only minimal light needed. 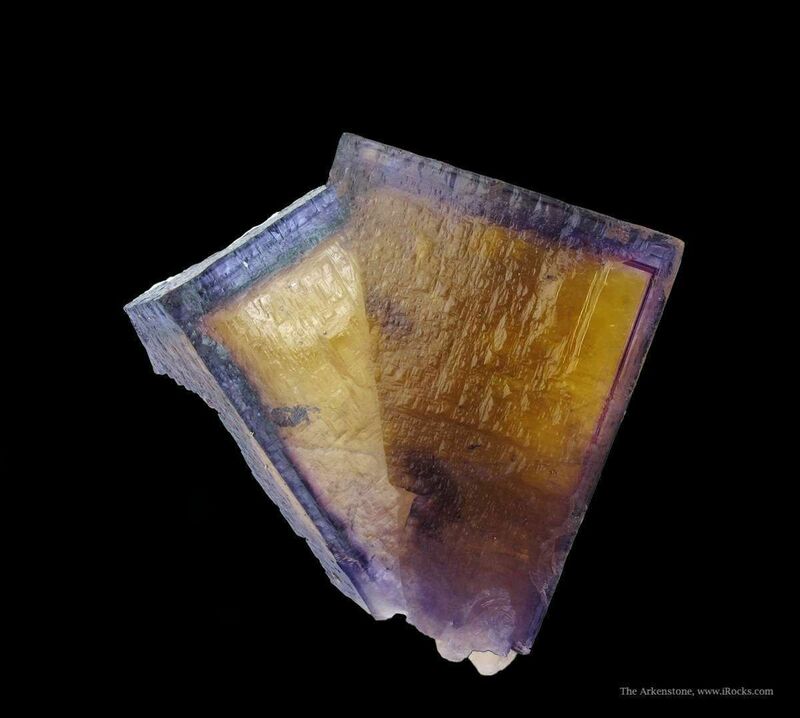 The back is contacted where it grew from matrix, though the front is undamaged and complete. 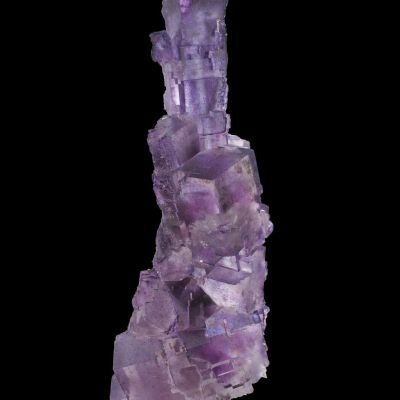 Small chalcopyrites decorate the top, as well. 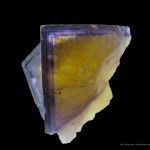 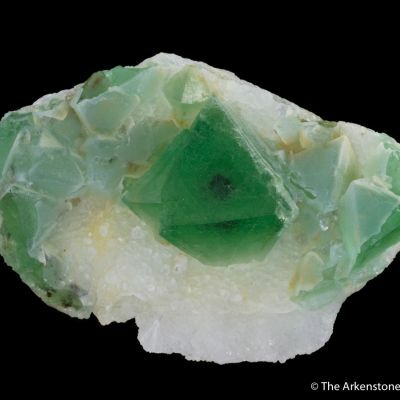 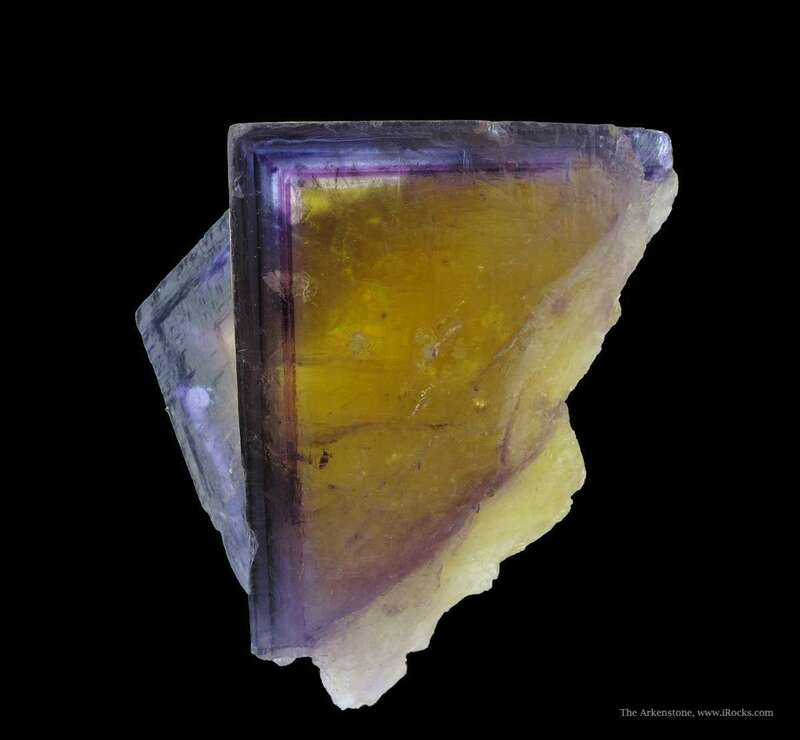 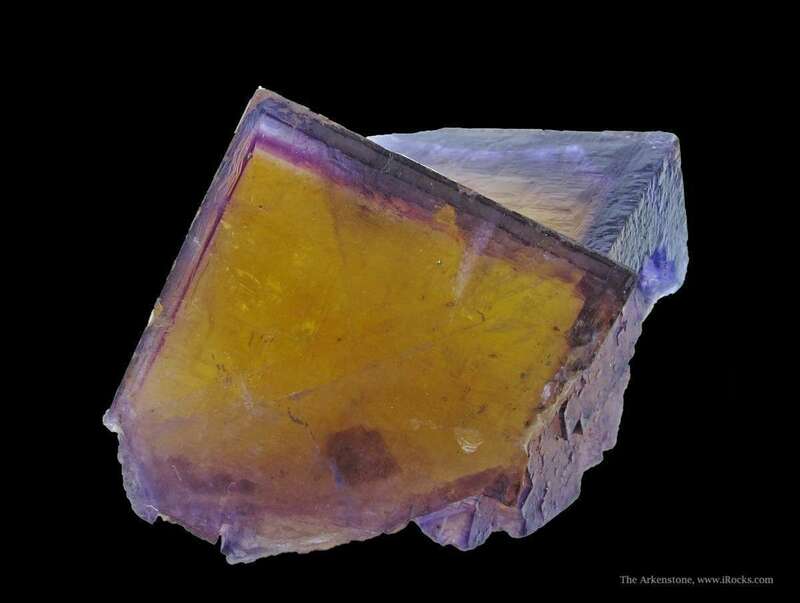 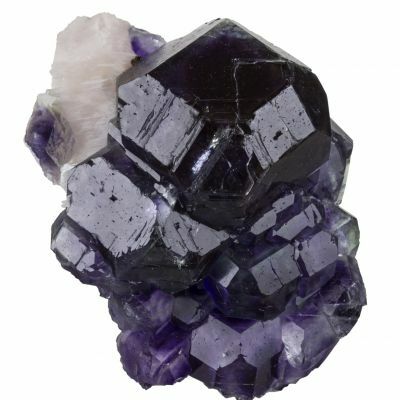 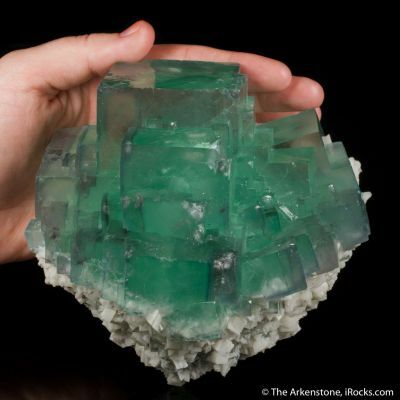 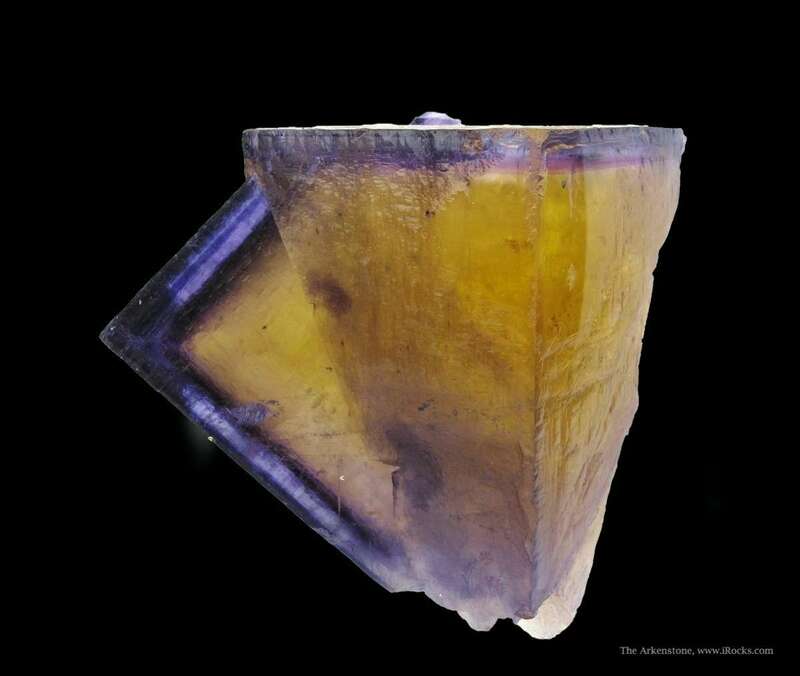 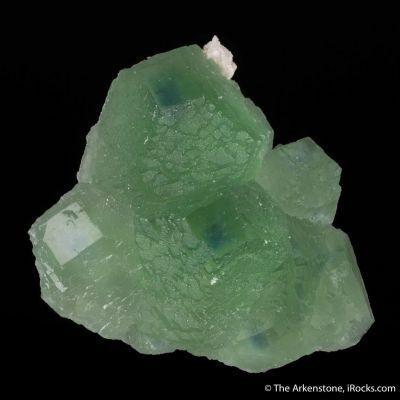 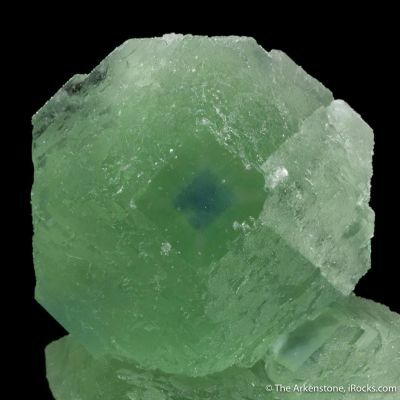 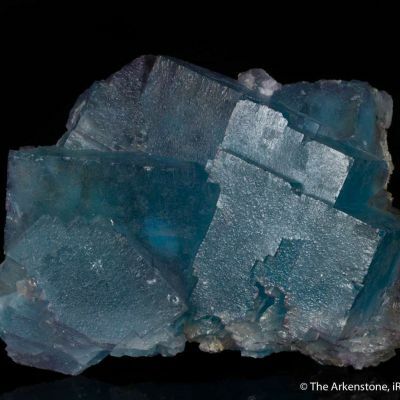 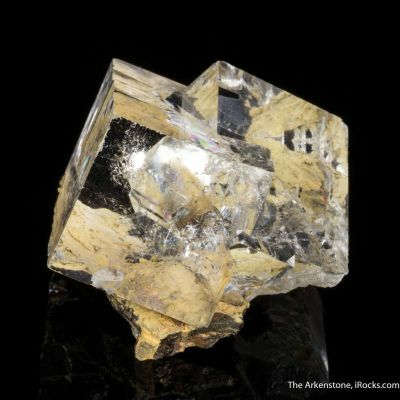 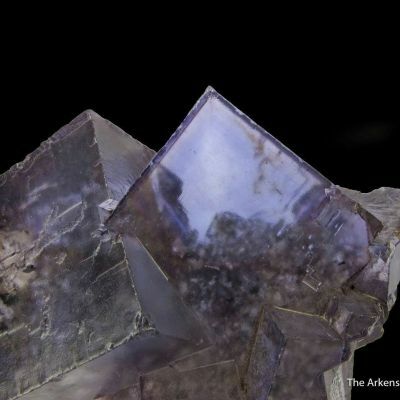 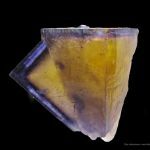 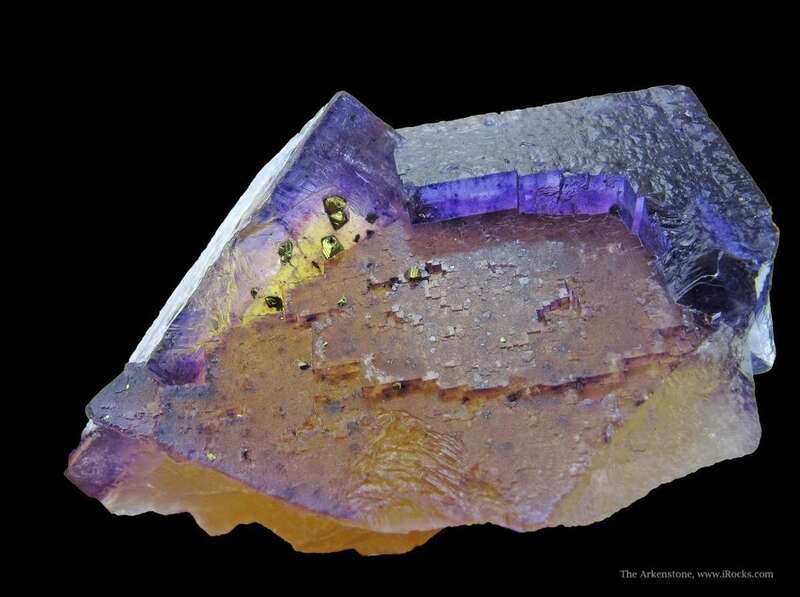 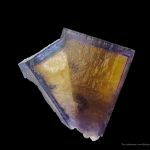 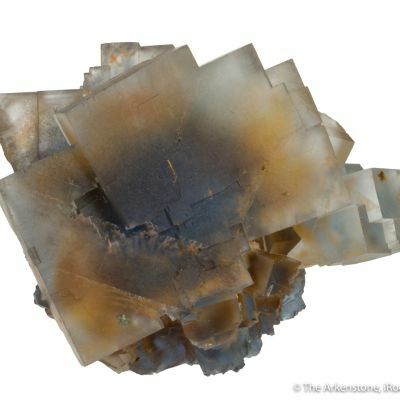 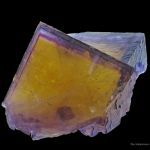 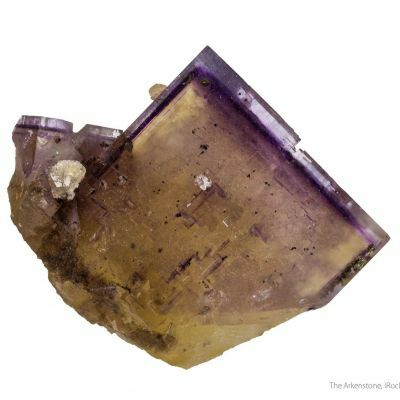 In the case, the pics do tell the story of this delicate and enticing Fluorite. 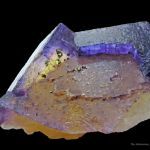 It has great color saturation! 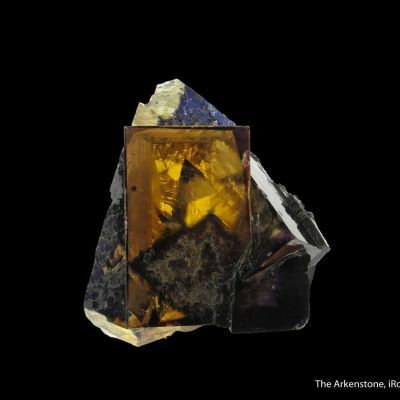 This is a dramatic small cabinet specimen that would grace any collection! 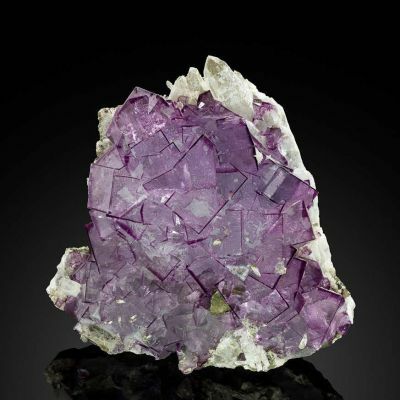 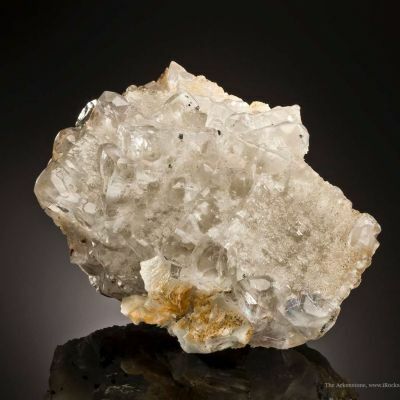 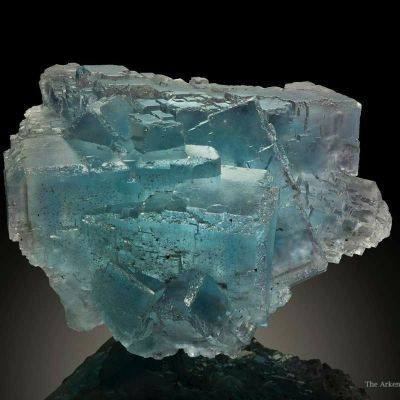 It was important enough to be kept long in the Ross Lillie collection of Illinois minerals.